Everything old is new again. If you have been around the sun a few dozen times, you may have noticed that the things you treasured in your childhood, have come back. Everything from bell bottoms to vinyl have made a comeback and there does not seem to be much discrimination as to the level of nostalgia these objects evoke. One of the cooler comebacks has to be the Volkswagen I.D. Buzz. 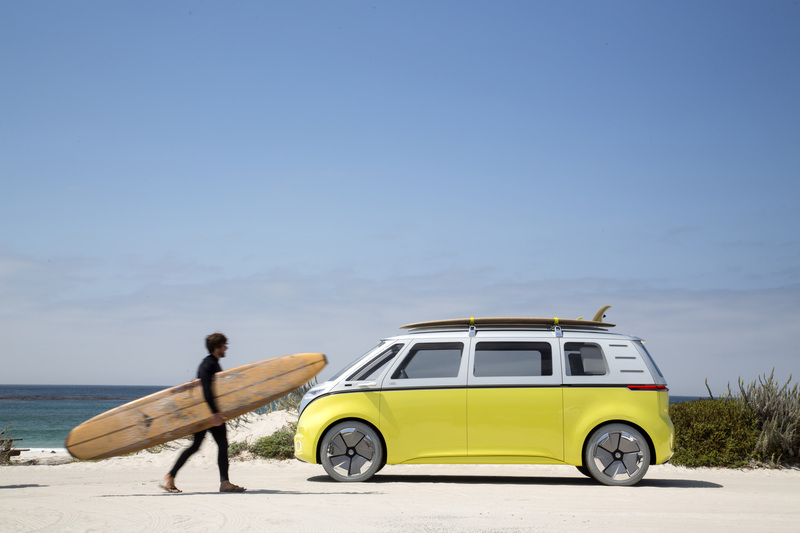 The new take on the old VW takes us back to the Microbus of old but has been updated to be completely eco-friendly. The Volkswagen I.D. Buzz was unveiled in Detroit in January of 2017 and sent groovy shock waves all over the place. I.D. stands for ?Idea?, ?Identity? or ?Intelligent Design?. Volkswagen?s concept car is a modernized Microbus that has adopted an electric engine and is complete with a computer interface for driving. 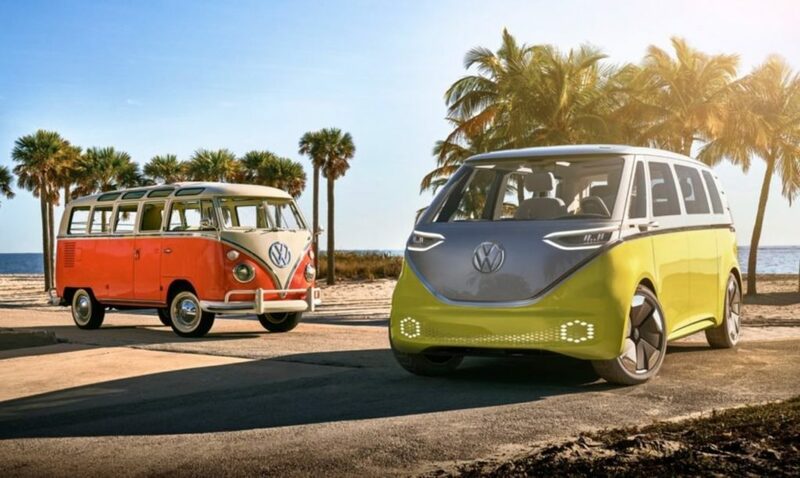 The new bus not only reminded the older car enthusiasts of the Microbuses of old, but they made sure to paint the new VW I.D. Buzz with the iconic colors of the past. It is as if the engineers had a dream of Tron while surfing in Southern California. The VW I.D. Buzz was unveiled not only as an electric car but also as an autonomous car. I.D. Buzz will be equipped with a telescoping steering wheel that also collapses into the dash when the car is self-driving. This gives the dash board a futuristic look that seems more at home in space than on Pacific Coast Highway. 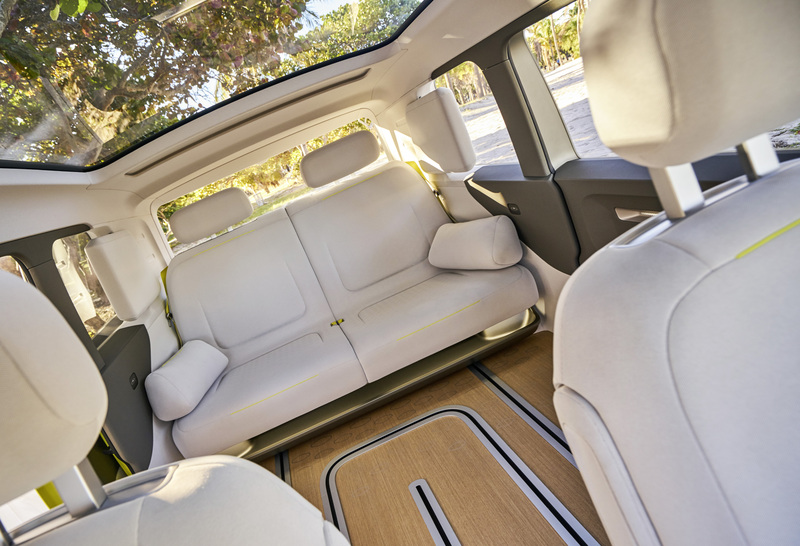 This whole system is to be powered by a 111-kWh battery pack located under the seats which can power the car for over 300 miles and take less than an hour to fully charge the batteries. The Linux operating system will control everything from the drive train to the ethernet that will include your versatile entertainment system. This blast from the past evokes more than nostalgia but it hearkens a time where there was a collective need for freedom. The old VW Microbus reminds folks of hippies and the counterculture movement where being tied down was an anathema to living free. It allowed people to travel and explore the country. You can almost hear the Beach Boys’ Surfin? USA or Simon and Garfunkle?s America. The heyday of the microbus coincided with the Apollo missions to the Moon. The reintroduction of this car is a return to exploration. 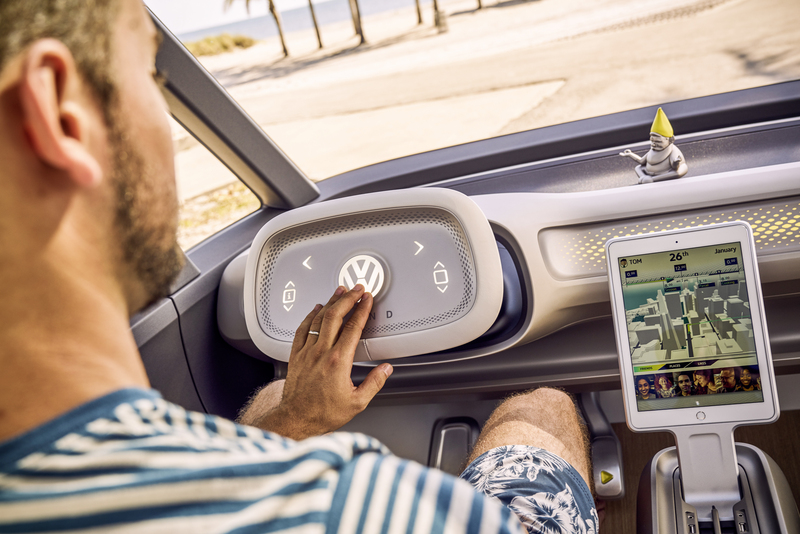 This time, with the innovative design and look, the new VW is telling us to look beyond the land and into the skies. 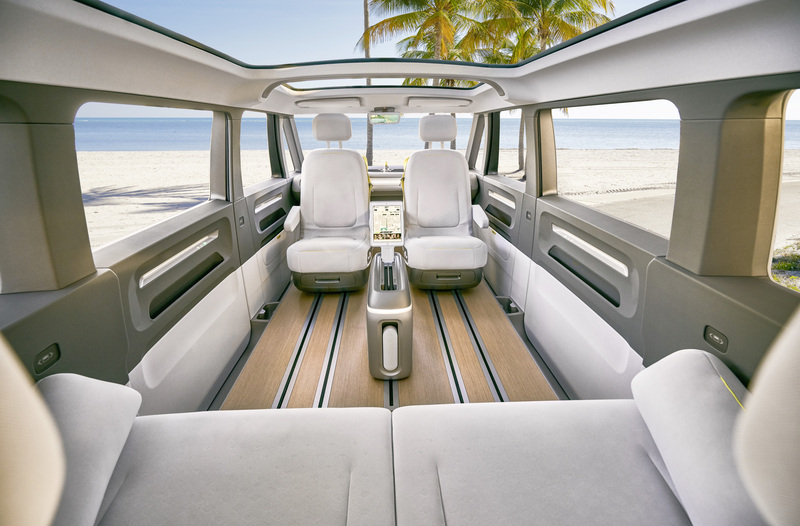 The new design includes all of the windows of the old microbus but also a sun roof that tops the entire car. It is as if the VW I.D. Buzz and space are one! We will have to wait a bit before we can own the new VW I.D. Buzz since it is scheduled for release in 2022. In the meantime, we can plan our routes, make our mix tapes and get ready for our adventures.